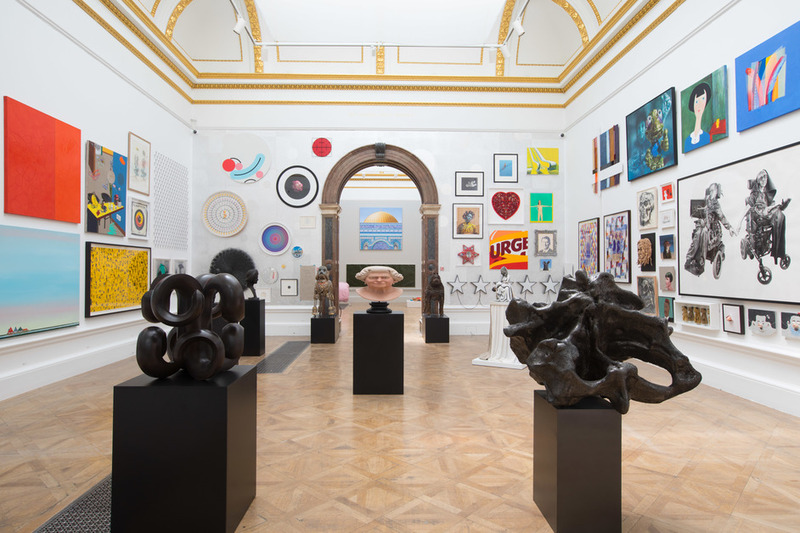 The Royal Academy's annual Summer Exhibition a highlight of summer in London since 1769, fills the gallery's walls with a plethora of tightly packed paintings, photographs, sculpture and film. The beauty of this annual show is that anyone can submit their work which gives it a wonderful element of surprise. Approximately 12,000 pieces are sifted through to come up with the 1,200 displayed, created by relative unknowns as well as famous artists and members of the RA. The fun part for visitors is choosing a favourite and, with the majority of works on sale at varying price ranges, you can even buy one if you really fall in love with it. The largest regular contemporary art exhibition in the world, it's an impressive show that gives an excellent cross-section of contemporary art every summer and each year a prominent sculpture greets visitors to the exhibition as they walk through the Royal Academy's great courtyard. What are the best dining options near Royal Academy Summer Exhibition London? Royal Academy Summer Exhibition gyms, sporting activities, health & beauty and fitness. The best pubs near London Royal Academy Summer Exhibition. Royal Academy Summer Exhibition clubs, bars, cabaret nights, casinos and interesting nightlife. Where to have your meeting, conference, exhibition, private dining or training course near Royal Academy Summer Exhibition. From cheap budget hotels to luxury 5 star suites see our discounts for Royal Academy of Arts hotels, including Cafe Royal Hotel from 97% off.